Thank you, i liked this post. Deference to op , some good entropy. “To have a grievance is to have a purpose in life.” by Alen Coren. I am only commenting to let you understand what a awesome experience my cousin’s daughter gained viewing your site. She came to understand numerous pieces, not to mention what it’s like to have an amazing teaching heart to make a number of people smoothly gain knowledge of several complex subject areas. You actually did more than my desires. I appreciate you for giving the interesting, safe, edifying and as well as cool tips about the topic to Lizeth. Just now I discovered the web for exactly this kind of information. Be grateful for to your publish that seek has got to ending right now. You published the posting within a easy to undestand way. With this, I added your web sites among my favorites! Regards! Hi would you mind letting me know which hosting company you’re using? 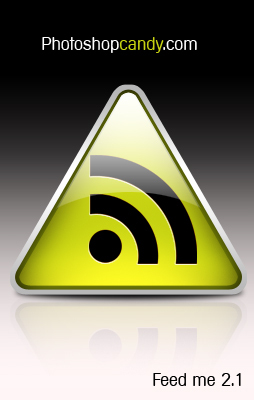 I’ve loaded your blog in 3 different web browsers and I must say this blog loads a lot quicker then most. Can you suggest a good hosting provider at a fair price? Thanks a lot, I appreciate it! Thank you for writing this article. I really enjoyed it. I work in web design too. Keep up the excellent work! Iâ€™m impressed, I need to say. Actually hardly ever do I encounter a blog thatâ€™s each educative and entertaining, and let me let you know, you’ve hit the nail on the head. http://www.saveonappliancerepair.net Your idea is excellent; the issue is something that not sufficient people are talking intelligently about. I’m very completely satisfied that I stumbled across this in my seek for one thing relating to this. Ð“Ð¾Ñ€Ð½Ð¾Ðµ Ð¾Ð±Ð¾Ñ€ÑƒÐ´Ð¾Ð²Ð°Ð½Ð¸Ðµ, ÑˆÐ¸Ñ€Ð¾ÐºÐ¸Ð¹ Ð°ÑÑÐ¾Ñ€Ñ‚Ð¸Ð¼ÐµÐ½Ñ‚ Ð¿Ð¾ Ð½Ð¸Ð·ÐºÐ¸Ð¼ Ñ†ÐµÐ½Ð°Ð¼ http://oborudovanie-gornoe.ru/. This is a nice tutorial and wel made and explain, allthough for all who had different colours on their website use any colour you will like and wil fit well toe the website. Thank you for helpful information. Both this material and the blog were very interesting for me! .-= AlexandrÂ´s last blog ..ÐšÐ°Ñ€Ð¿Ð°Ñ‚Ñ‹ – Ð¡ÐµÐ²Ð¸Ð»ÑŒÑ Ð¡ÑƒÐ¿ÐµÑ€ Ð°Ñ‚Ð¼Ð¾ÑÑ„ÐµÑ€Ð°- Ð»ÑƒÑ‡ÑˆÐ¸Ðµ Ñ„Ð°Ð½Ñ‹ Ð² Ð¼Ð¸Ñ€Ðµ!!! =-. Very much the helpful information. Especial if it to apply in business. .-= Mr. LatÂ´s last blog ..Tennis player Andy Roddick is selling his house in Texas =-. Absolutely agree with previous reports. Good post, not what can not be said. so good page… thanks admin. 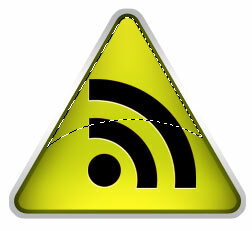 The yellow and black combination of the design gives the RSS feed icon much more appealing. The contrast is just perfect for the eyes. .-= CRM for small businessÂ´s last blog ..Differences between CRM implementation and CRM adoption (Part 2) =-. .-= MyWarezÂ´s last blog ..Adobe Acrobat 9.2.0.124 Pro Portable Rus =-. ÐšÐ¾Ð½ÐµÑ‡Ð½Ð¾ Ð¿Ñ€Ð°Ð²Ð¸Ð»ÑŒÐ½Ð¾ Ð´ÑƒÐ¼Ð°ÐµÑˆÑŒ, Ñ…Ð¾Ñ‚Ñ Ð¼Ð¾Ð¶Ð½Ð¾ Ð¸ Ð¿Ð¾ Ð´Ñ€ÑƒÐ³Ð¾Ð¼Ñƒ. ÐÐµ Ñ‡Ð°ÑÑ‚Ð¾ Ñ‚Ð°ÐºÐ¾Ðµ Ð¼Ð¾Ð¶Ð½Ð¾ ÑƒÐ²Ð¸Ð´ÐµÑ‚ÑŒ, ÑƒÐ´Ð¸Ð²Ð»ÐµÐ½. Ð”Ð°, Ð½Ðµ Ð¾Ð¶Ð¸Ð´Ð°Ð» Ñ‡Ñ‚Ð¾ ÑƒÐ²Ð¸Ð¶Ñƒ ÑÐ´ÐµÑÑŒ ÑÑ‚Ð¾Ð»ÑŒÐºÐ¾ Ð¸Ð½Ñ‚ÐµÑ€ÐµÑÐ½Ð¾Ð³Ð¾ Ð² ÐºÐ¾Ð¼Ð¼ÐµÐ½Ñ‚Ð°Ñ…. ÐžÑ‚Ð»Ð¸Ñ‡Ð½Ð¾ ÑÐ´ÐµÐ»Ð°Ð»Ð¸ Ð±Ð»Ð¾Ð³, ÐµÑÑ‚ÑŒ Ñ‡ÐµÐ¼Ñƒ Ð½Ð°Ñ‡Ð¸Ð½Ð°ÑŽÑ‰Ð¸Ð¼ Ð¿Ð¾ÑƒÑ‡Ð¸Ñ‚ÑŒÑÑ. ÐœÐ¾Ð»Ð¾Ð´Ñ†Ñ‹.